Yelena Isinbayeva... wants IAAF ban lifted. The International Association of Athletics Federations (IAAF) must reinstate Russia as soon as possible to prevent the country’s athletes from stagnating, Russian Anti-Doping Agency (RUSADA) chair Yelena Isinbayeva has said. The Russian Athletics Federation was banned in November 2015 after an independent World Anti-Doping Agency (WADA) study exposed widespread state-sponsored doping and the IAAF confirmed last week that the ban will run into next year. “I want to believe soon they will find a compromise. We have done everything they asked – we did it even before Rio 2016,” the Russian former pole vaulter told insidethegames.biz, a sports website focused on the Olympic Movement. “I hope soon that we can compete internationally otherwise we will have no chance to develop the sport in Russia, we lose visibility otherwise,” the double Olympic champion and world record holder added. The suspension was upheld following an appeal earlier this year, ruling all but one Russian track and field athlete, long-jumper Darya Klishina, out of the Rio Olympics. “We must find a solution as the worst thing has happened already – we missed the Olympic Games. Russia must be allowed back,” the 34-year-old Isinbayeva said. In the latest blow to the country, an independent WADA report said on Friday that more than 1,000 Russian competitors across more than 30 sports were involved in an institutional conspiracy to conceal positive drug tests. Isinbayeva, who also won three World Champion-ship golds and set 28 world records, also lashed out at IAAF president Sebastian Coe and called for any doping investigations to be expanded globally. “How could IAAF consider athletes who have been suspended twice for doping clean and allow them to compete while I was not?” Isinbayeva said in a separate interview with French sports daily L’Equipe, referring to American sprinter Justin Gatlin. “When Coe asked my support at the beginning of his campaign to become IAAF president, I gave it to him without asking questions. Then he puts me on the list with everyone else. “He did not take into consideration who I am, my history, the absence of doubts (on my performances). 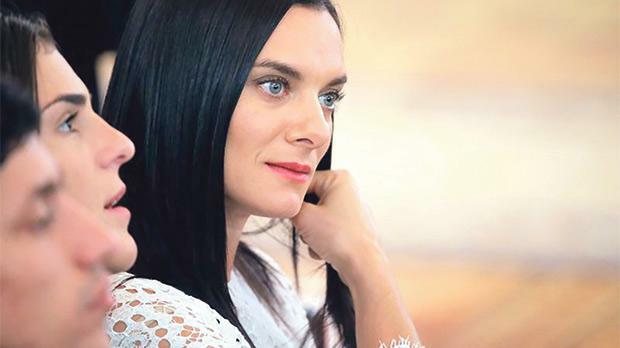 As well as her role with RUSADA, Isinbayeva was elected as a member of the International Olympic Committee Athletes’ Commission during Rio 2016 and has also been appointed to the Executive Board of the Russian Olympic Committee.